More Foodie delights from our recent trip to China. DaDong Roast Duck is a popular Roast Duck (Peking Duck) restaurant in Beijing, China. Many say it is the number one place for Peking duck. They have 3 locations in Beijing. We dined at the one in the Dongcheng District. This restaurant is located inside the Nan Xin Cang walled off shopping area, which is full of shops and restaurants. They are famous for their version of Peking duck. English and pictures are all over their menus. Be sure to make reservations or else you might wait for hours. There are free drinks while you wait at least. They have a small menu with their modern dishes and a large 83 page regular menu. Everyone orders Duck, so they have moved on to heavily push Braised Sea Cucumber, Sharks Fin Soup, and Lobster. The modern dishes seem to hint the chef visited Fat Duck and was trying to incorporate their techniques. Having dined at Fat Duck a month earlier, we can definitely say those dishes missed the mark. Decor, Vibe – Very nice, fancy, upscale modern interior with lots movable Asian room screens. Two floors. The place was packed with big parties, businessmen, locals, and tourists. Lots of Caucasians. They are pretty busy, so be sure to make reservations. Roast Duck (Peking Duck) (218¥, $1=6.8¥) with the guest special selection option (20 upcharge) which allows you to venture into the kitchen, select your duck, and take pictures. This is why everyone comes here. Da Dong tries to make it less greasy, more heathy. They call it “SuperLean” because of special processing and cooking methods. It is carved tableside. The skin is thick, very crunchy, and has this smoky flavor. It still has lots of fat under the surface! Very good and strong flavors to the duck meat. We had them give us the leftovers and found that they tasted even better than the carved parts. You could get a lot more meat and skin combination right near the bones. They can also take these remains to make duck soup. Be sure to ask for the leftovers! They charge you 8¥ for the duck’s condiments. (Sweet Sauce, Shallots, Sugar, Garlic paste, Preserved Vegetables, Pickles, Radish, Cucumber, pancake) Kinda a scam if you ask me. They should include some with the duck itself. Chef’s Dong’s Braised Eggplant (58¥) a House Specialty based on an old recipe from Chef Dong senior. It was not greasy and was pretty delicious. Green Lemon Sherbet (0¥) was a complimentary palette cleaner that they normally charge for. A house specialty that is simple and should be free. Steamed chicken with Ginger Passion Fruit Salad (18¥) was a house specialty so we had to try it. This combination sort of works, it was the closest their experimentation came to a good dish. A nice balance of fruit and meat on the cold side. Steamed white Fungus and Mushroom soup (36¥) were braised with broth and had a light delicate taste. It was so neutral in flavor that was not for everyone. Order this only if you appreciate subtlety. Sauteed Asparagus (12¥) were decent. Quality of the vegetables was good as was cooking. Fired Gordon Euryale Seed and Green pea with olive oil (12¥) looked reall artisy in the menu so we had to try it. The peas were ok but the drink was a gross minty foam. Goose Liver Aspic (68¥) a House Specialty, was their attempt at a French foie gras innovation. A pate encased in some jello. We order it because it was cheap and we were big fans of the artery clogger. This was of average quality. Nothing special. vitaminC (18¥) was a house specialty that was a mystery when we ordered it. It consists of an orange with its guts removed and then cooked with liquid nitrogen. The orange insides were so cold they stuck to our tongue. Ouch! Mojito (30¥) lychee was like a watery slush with zero alcohol present. DaDong Roast Duck had fair service. We had to hail waiters to order, get items, get the bill, etc. The service does not match the high end decor. As expected, their Peking Duck was the best we had in Beijing. Quan Jude and Made in China were other places we tried on this trip. Most of all the other dishes were not up to the duck’s high quality. We ordered the duck then tried all sorts of fancy dishes they were featuring. Get the duck, order some veggies, then order other cheap dishes to reach your desired level of fullness. This place is a must visit when in Beijing just order carefully to avoid an astronomical bill. No Peking Duck we have eaten in the USA comes close. 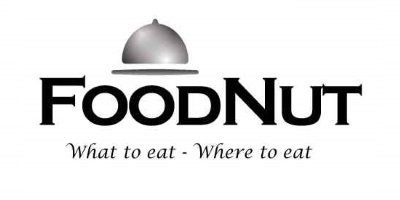 Just got back from an enjoyable meal at this restaurant. Nice roast duck and good table service but I almost died when we got the bill. The local mineral water (750ml) cost 80 – yes 80 (eighty) yuan – that’s US$11.70. Unbelievable. I never thought to ask about the price when we ordered it. We’ve had mineral water all over the world; London, Paris, Rome, French Riviera, you name it but never paid anything like that. It really took the edge off an otherwise enjoyable night. We felt ripped off; wished we’d checked but who could have imagined. Very expensive for amount of food you get. On a scale of one to ten I would give my experience maybe a two.